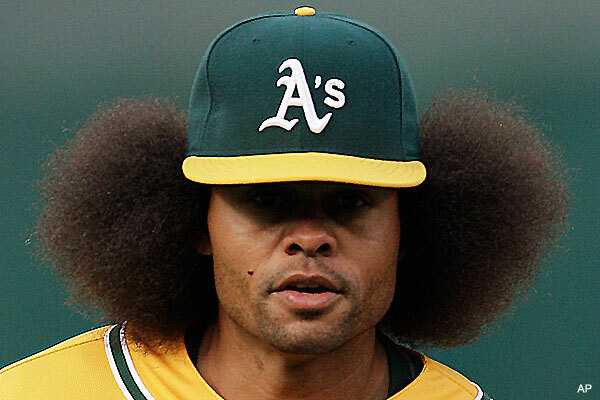 Why is Coco Crisp being considered for Left Field? If his defense has deteriorated to the point where ha cannot effectively play Center Field, why would a team be interested in him? Fangraphs defensive metrics suggest Marlon Byrd was better defensively than Coco Crisp in 2011. Fangraphs calculates a Center Field UZR/150 of 3.0 and -6.7, respectively for Marlon and Coco last season. Defensive metrics need much larger sample sizes than one season to show anything of statistical significance. Over the past three seasons (2009-2011), Crisp stands as a superior defensive Center Fielder, UZR/150 of 3.4 to Byrd's 0.9. How their future performance will compare is anyone's guess. I'm just surprised the Cubs* and Dodgers are looking at Crisp to play Left Field. Why hasn't Peyton Manning been placed on IR? Why wasn't Peyton Manning's surgery done earlier than right before training camp? Why is the bounty of the Clippers CP3 deal better than what the Lakers offered? Why is Eric Gordon, Chris Kaman, Al-Farouq Aminu, and Minnesota's unprotected 2012 first-round pick better than Lamar Odom, Kevin Martin, Luis Scola, Goran Dragic, and the Knicks' first-round pick? Why aren't the Mets getting any credit for signing Chuck James? Everyone, so far, is like 'Who the heck is Chuck James?' After a few promising campaigns with the Atlanta Braves, James disappeared for a few years (who hasn't), before reemerging for eight appearances with the Twins last year. If he has a good summer and nets the Mets a prospect in a July trade, Sandy Alderson will have a good moment, perhaps the highlight of his season. Are the Cubs stockpiling Byrd's? That's what Aramis does in the D.R. If the Cubs sign Coco Crisp, they will have all three of them in 2011. Wouldn't that be something? 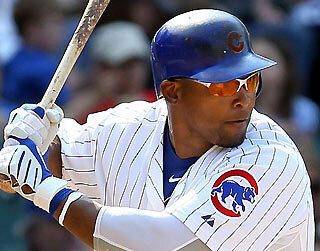 It could mean the Cubs are willing to eat about 70% of the Soriano contract to send him to the American League. They should send him to the Astros, who will need a DH next season.